Jurgen Klopp’s decision to start Divock Origi for the Reds tonight has paid off, the Belgian scored a superb solo goal to make it 3-0 to the Reds. 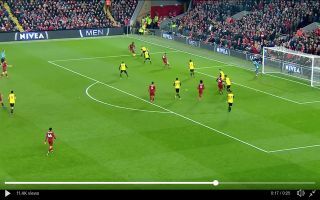 In the 66th minute of the match Origi cut in from the left and fired a shot towards goal which evaded three Watford defenders before hitting the back of the net. Origi might have proved to Klopp that he should be considered ahead of England international Daniel Sturridge as the main backup to Roberto Firmino.